Solid-panel vinyl fencing is a popular option among homeowners who want to add a privacy fence to their properties. Vinyl is an exceptionally durable and flexible material that easily stands up to the elements year after year. It also requires minimal maintenance, as vinyl can be easily cleaned with a garden hose and it will never need to be painted, stained, or sealed. What’s more, you’ll appreciate the beauty of your vinyl privacy fence because we offer a variety of colors, styles, and other aesthetic options to suit your preferences. Having a wood fence installed will enhance privacy while also adding a touch of warmth and charm to your property. 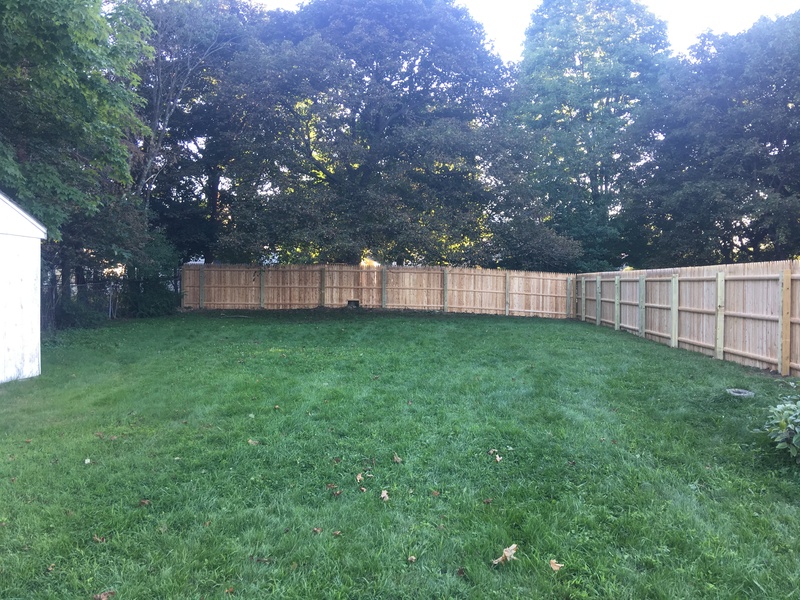 Virtue Fence is proud to build wood fences from beautiful and highly durable materials such as Western Red Cedar, Inland Red Cedar, and Eastern White Cedar. We’ll be able to design and build your wood privacy fence to your specifications, and it can be stained or painted the color of your choice. Don’t wait to transform your yard in Northern New Jersey into a private space where you can truly relax. Contact Virtue Fence today to learn more about our privacy fence options and schedule your consultation.